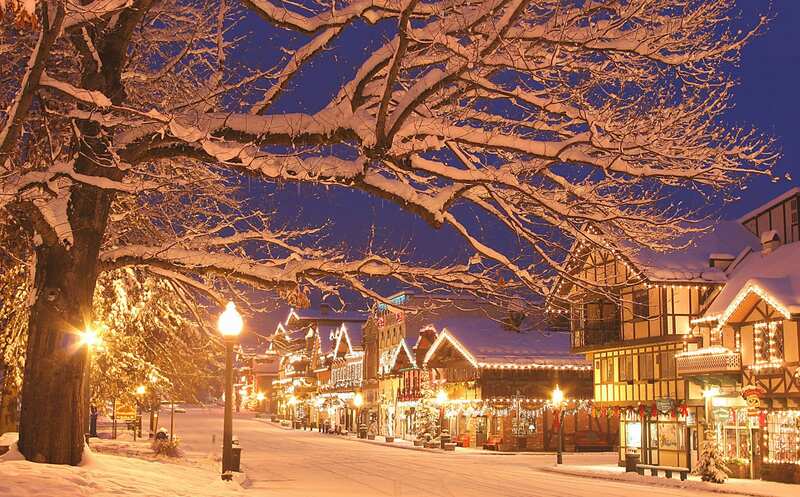 Rockettes’ 10 Favorite Christmas-Loving Towns In the U.S.
It’s quite a sight to see when this quant Bavarian-themed town becomes a Village of Lights during the holidays (they use over half a million sparkling lights!). Throughout the snowy month of December, it’s festive festivities galore—carolers stroll the streets singing Christmas songs, the smell of chestnuts roasting by the fire fill the air and there’s even a traditional Glühwein tent that serves toasty mulled wine that’s sure to warm up even the Grinchiest of Grinches. 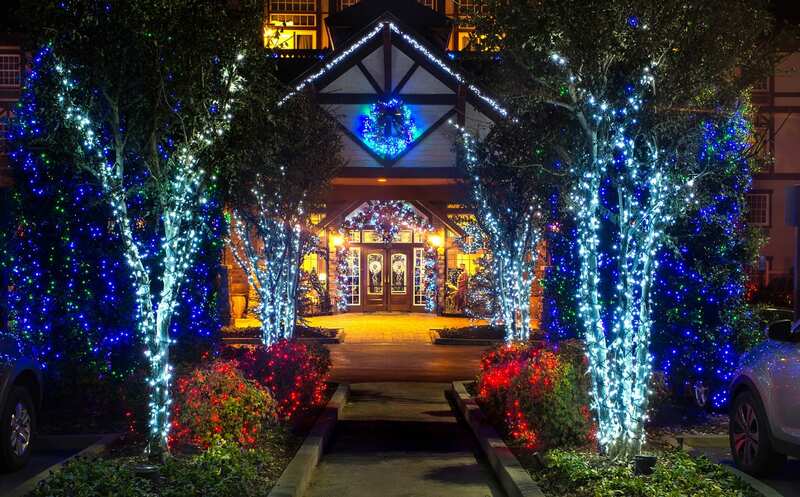 Pigeon Forge is home to The Inn at Christmas Place, a four-star hotel that with its Bavarian charm and roster of Christmas events serves as an annual southern hotspot for holiday spirit. Even visitors who are not staying in the hotel can enjoy dozens of activities throughout the winter months—including gingerbread house-building, cookie decorating and live music—that would put anyone in the mood for yuletide. 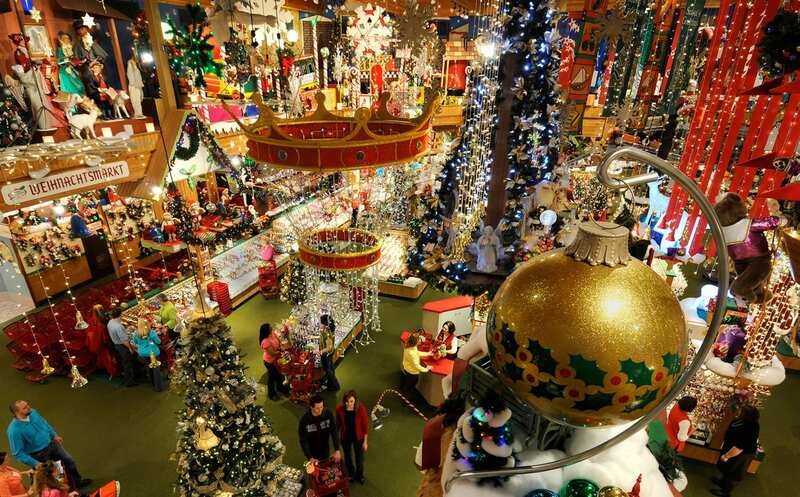 A small resort town that draws droves of holiday lovers each year with its Bavarian-themed architecture and round-the-clock Christmas atmosphere, Frankenmuth is home to Bronner’s CHRISTmas Wonderland, the self-proclaimed “World’s Largest Christmas Store.” With more than two million guests every year, the store sports an inventory that includes 6,000 styles of ornaments and purports to sell more than 400,000 feet of garland every year. 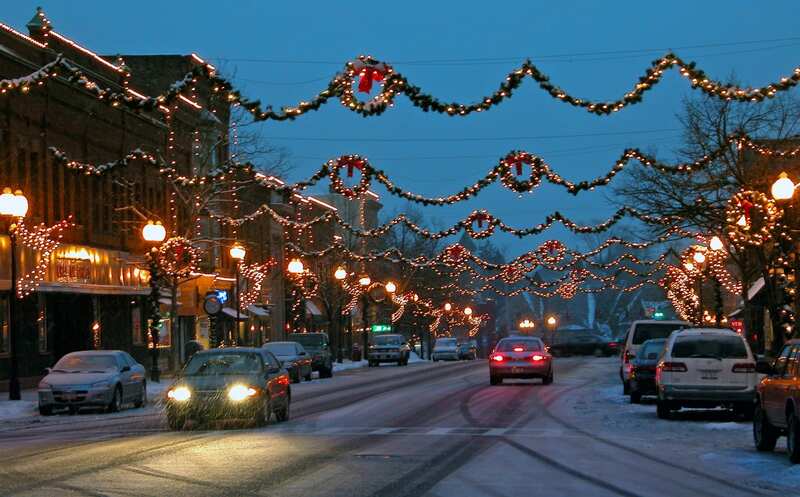 Each Christmas season, Seneca Falls, a small town in upstate New York, transforms itself into “Bedford Falls,” which is the name the town took on when it served as the inspiration for It’s a Wonderful Life. 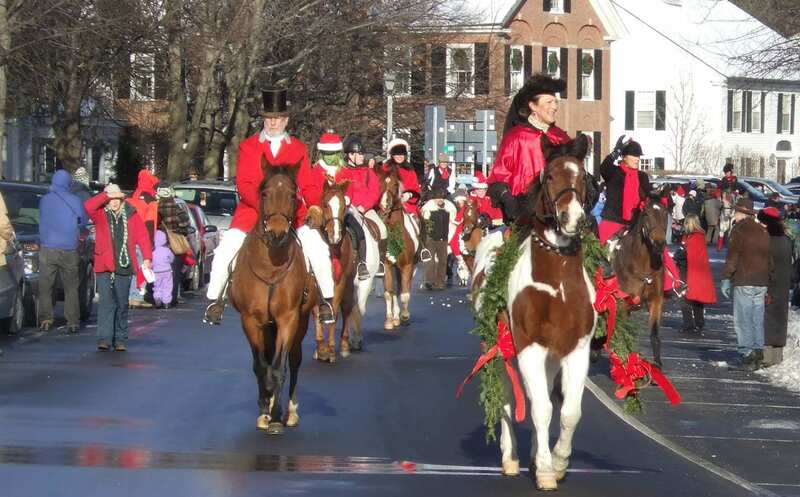 Over the course of a multi-day festival, various events—from wagon rides and wreath raffles to story hours and scavenger hunts—offer denizens and visitors the chance to celebrate the holiday season in the small-town setting that helped make Frank Capra’s classic 1946 film the ultimate Christmas movie. How do you make an idyllic New England town even more charming? The residents of Woodstock, VT have found a way with their annual Wassail Weekend. (“Wassail” refers to an English holiday tradition of drinking mulled cider to ensure health.) A multi-day homage to the Christmas season that includes light displays, decorated houses, a “Santa’s Workshop” and a festive parade, Wassail Weekend has made Woodstock a must-visit destination for holiday lovers of every stripe. “The Polar Express” is one of the most beloved animated Christmas movies of all time—a true contemporary classic. Every year, the film, which tells of a train that takes lucky children to the North Pole on New Year’s Eve, captivates children and adults both with its lifelike evocation of a journey that every Christmas lover dreams of making. But what if the Polar Express really did come to life? That’s what happens, in a sense, in the town of Durango, CO. Every year, Durango’s famed Durango & Silverton Narrow Gauge Railroad plays host to festive locomotive experience, wherein locals and visitors can board a real train and enjoy hot chocolate and treats while listening to a reading of Chris Van Allsburg’s The Polar Express, the book on which the film was based. Christmas-lovers and train-junkies alike will enjoy this event that brings everyone’s Christmas fantasy sojourn to life. It takes serious holiday bona fides to earn the nickname “Christmas Town, U.S.A.,” but McAdenville, NC, a town of fewer than 1,000 people, has managed that very feat. For 26 days out of every year, locals decorate their homes, put on lighting ceremonies, organize festivals and engage in myriad other activities to honor the holiday season. The town’s annual celebration—and its national renown among holiday lovers—shows how small communities can mark Christmas in big ways. 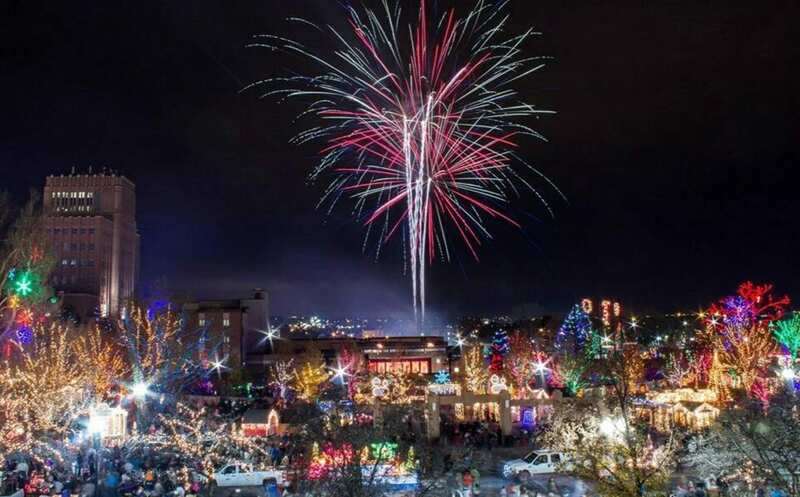 For those who find themselves out West during the most wonderful time of the year, there’s Ogden, UT, a historical railway hub where holiday lovers of every age can indulge their yuletide fantasies in the town’s Christmas Village. 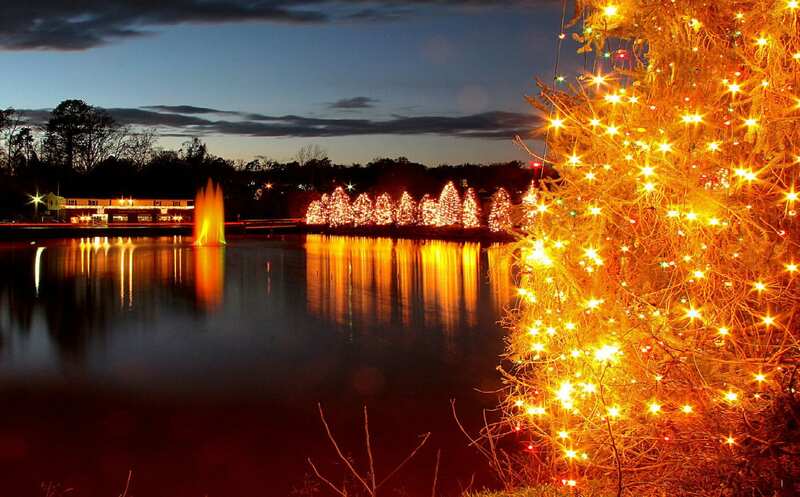 Spectators will find themselves immersed in a winter wonderland set aglow with 63 elf-sized cottages modeled after Santa’s village at the North Pole; each with a unique theme—like The Elf Workshop, Nutcracker Nook, Kris Kringle’s Cupcakery Bake Shop, Frosty’s Firehouse and of course, Santa’s Castle! 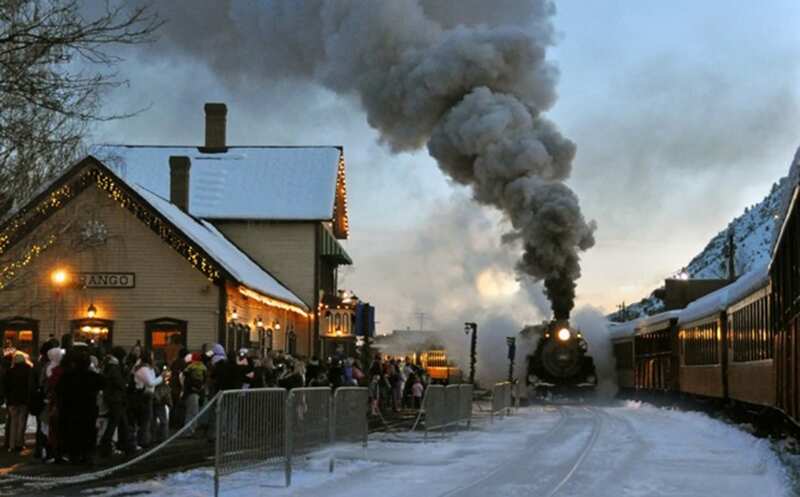 Between the cozy cabins, the Polar Express Train and the town’s numerous Christmas-shopping destinations, visitors and locals never lack for holiday activities to take part in. 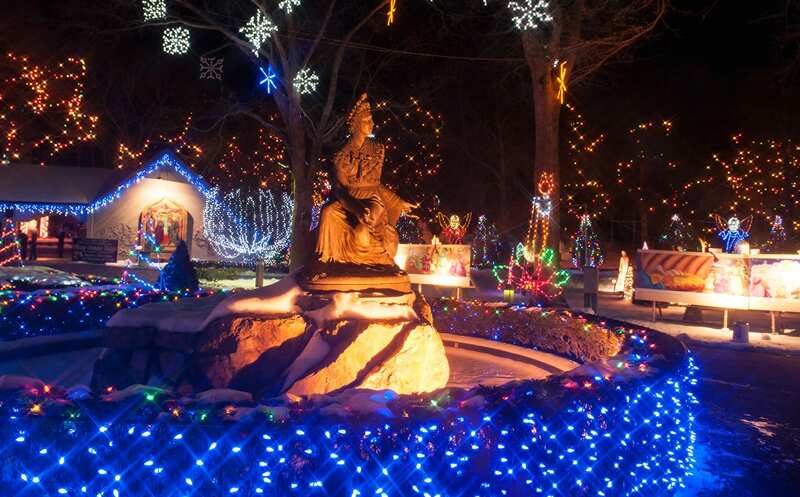 For more than 60 years, the National Shrine of Our Lady of La Salette, located in Attleboro, MA has put on a Festival of Lights that has become a hallowed holiday tradition. Spanning a 10-acre site, the extravaganza includes more than 300,000 LED lights and more than 2,000 nativity scenes from some 100 countries around the world. 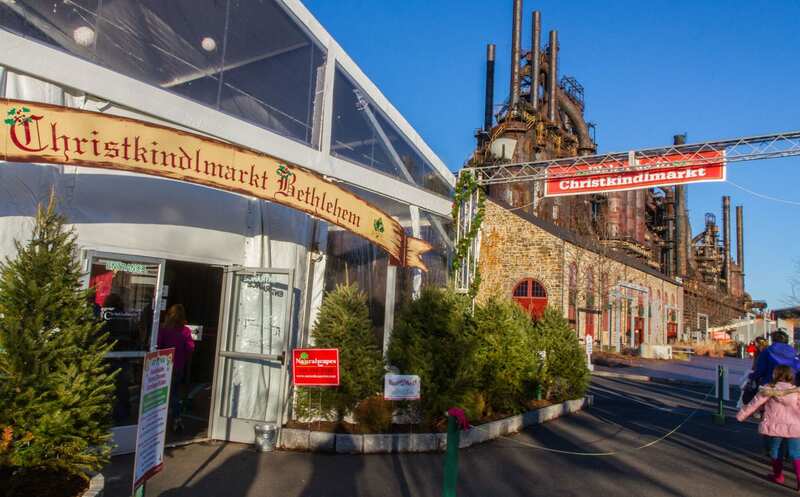 Now in its 27th year, Bethlehem, PA’s Christkindlmarkt draws more than one million visitors annually with its numerous festive displays and holiday-shopping offerings. Sporting more than one hundred vendors each week, the event—which has helped Bethlehem earn the nickname “Christmas City”—is a lights and shopping extravaganza you won’t want to miss. Join us at Radio City Music Hall for the 2018 Christmas Spectacular— the show runs now until January 1.